Wedding Form — Floral Pines Design Co. Thank you so much for enquiring with Floral Pines regarding wedding flowers! We are so passionate about creating beautiful spaces for our couples to enjoy with their nearest & dearest. How a space looks & feels has such a significant impact on how we feel & act within that space, and has a large role to play in how we remember that time & place. So we take great pleasure in being a part of styling & creating a space that is a true & unique reflection of you, that will linger fondly in the memories of you & all your guests for years to come. 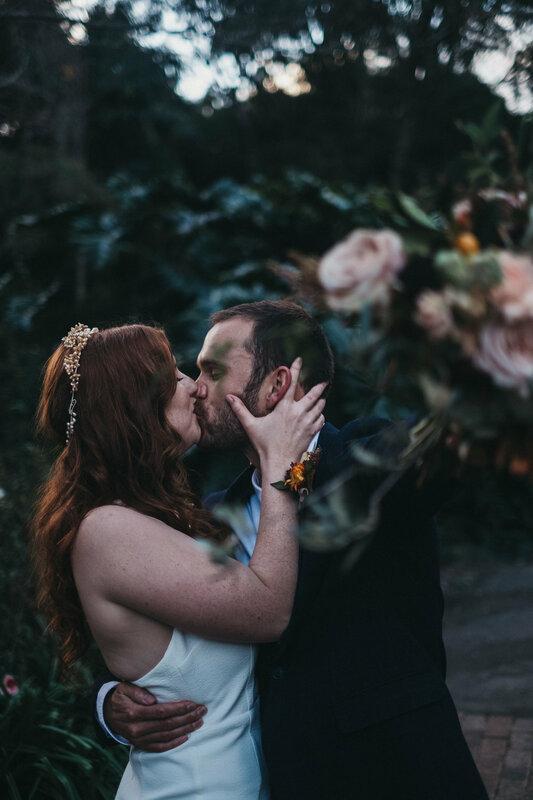 To continue the process of designing your wedding florals & styling, we'd love to get as much detail as possible about your day so we can provide you with an initial quote. If there are details you're not quite sure of yet, or aren't applicable for what you'd like, that's fine - just let us know as much as you can! Thanks so much - looking forward to hearing from you. Which aspects of your wedding day will you require flowers for? What are three words (or more) to describe the style & mood you would like for your wedding flowers? Tell us a bit about the party people that will be next to you on your day - how many will there be? What will they be wearing? What do they need - bouquets, buttonholes, flower crowns etc.? Let us know a bit about the vision you have for your ceremony space - is it outdoors or in a church or other space? Would you like an arch/arbour? Aisle flowers? Here's where you can let us know all about your vision for your reception - what style of tables are you having? Will there be share platters or alternate drop for the meals? What style of flower arrangements would you like for the tables? Would you like any hanging arrangements or large installations? Please let us know if we will be required to come & pack up at the end of the night. Thank you so much! We’ll be in touch as soon as we can.